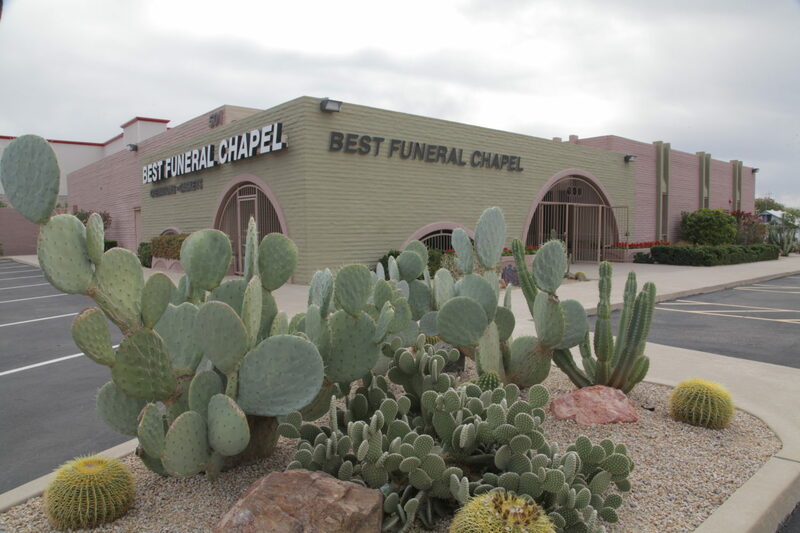 Best Funeral Services & Chapel was established in the Valley of the Sun in 1987 to provide an alternative to high priced, “Wall Street” owned funeral homes and cemeteries. We maintain our commitment to offer our communities affordable Funeral & Cremation Services in Arizona. Best Funeral Services is grateful for our ongoing association with Arizona hospice providers. Hospice care givers continue to refer their patients’ families to Best Funeral Services with confidence that families will receive the high- quality services they have grown accustomed to while in hospice care. Our staff stands ready to assist you with your needs. We can arrange shipping to any destination from Sky Harbor Airport in Phoenix. We will be happy to assist you in obtaining local information on Arizona cemeteries, Arizona crematories, churches, Arizona hospice organizations etc. We also offer complete cremation and burial pre-arrangement services for advanced planning. We are available 24 hours a day and ready to help you in any way possible. With our honest & straight-forward approach, we are certain that you will find our services to be dignified with fair prices at either of our Phoenix or Peoria facilities. We can be reached at our Peoria Chapel (623) 486-1955 or our Phoenix Chapel at (602) 906-9600. The Staff of Best Funeral Services, Inc.